Where should you vacation in Jamaica? Jamaica is one of the largest islands in the Caribbean, and visitors have a wide range of destinations to choose from once they make the initial decision to vacation in the land of reggae and jerk. Whether you desire nightlife, great beaches, a secluded getaway, or the opportunity to immerse yourself in the local culture, there's a Jamaican destination that's right for you. Cannabis, or Ganja, often comes to mind when traveling to Jamaica. Jamaica, in the past, has outlawed cannabis but allowed possession of small amounts. However, under a current program, cannabis for medical or therapeutic uses is legal for licensed businesses if you have a doctor’s note. Foreigners in Jamaica can easily obtain approval from a local physician or use a recommendation from their country's physician. 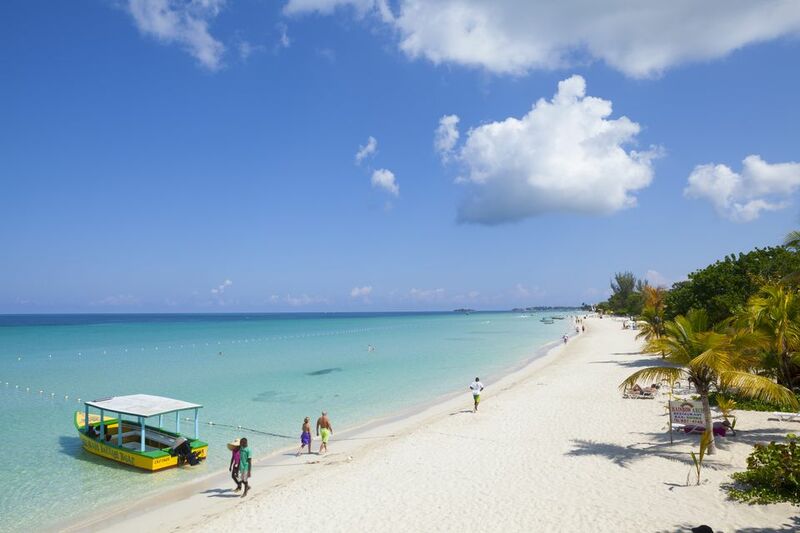 Named for its black cliffs, Negril was a sleepy fishing town for most of its 500-year history until the 1960s and 70s, when tourists began coming for the laid-back lifestyle, reggae music, freely available local ganja, and the splendors of beautiful Seven Mile Beach. The well-known family all-inclusive resort, Beaches, is at the north end of the island. Popular things to do include YS Falls, Black River Safari, and the beautiful Mayfield Falls. This former fishing village is home to two of Jamaica’ most famous tourist attractions, Dunn’s River Falls and Fern Gully, as well as myriad resorts. Day trips to Mystic Mountain, Dolphin Cove, Blue Hole, and the breath-taking Dunn’s River Falls are key things to do. You can dine on real Jamaican Jerk at Scotchies Jerk Centre and go for hikes with local guides. Montego Bay, on the north coast, reigns supreme as the tourism capital of Jamaica, with more resorts and activities than any other destination on the island. MoBay also has some good nightlife if you venture downtown, with the Margaritaville restaurant/bar on the "Hip Strip" a popular destination among tourists. It's a major cruise ship port, has a multitude of beaches, and great places to golf. There’s also snorkeling and diving at coral reefs in the Montego Bay Marine Park. This onetime banana port brought some of Jamaica’s first international tourists to the island—via banana boat from the U.S. in the 1890s. Despite its long experience with tourism, however, Port Antonio remains relatively unspoiled, and a stroll through its historic downtown and the ruins of circa 1729 Fort George offer an authentic glimpse into Jamaica’s past and present. Port Antonio is also known as a gateway to tropical jungles, mountains, and waterfalls. In the east, visit the Blue Lagoon, known for its deep blue waters, fed by the sea and underground springs. The capital of Trelawny Parish on Jamaica’s north-central coast is renowned for its well-preserved Georgian architecture, home to several big resorts, and is the location of Jamaica’s newest cruise port. You can take a walking tour of the old town area, with the largest collection of Georgian style buildings in the country. Falmouth is also famous for its bustling markets. Going to market, especially on Wednesdays when traders from all over the island come to Falmouth, is an exciting thing to do. You'll find the “Bend-down market” on the streets where you can buy anything from food to items for your home. Kingston is the capital of Jamaica, founded in 1692 after the earthquake that devastated the infamous nearby pirate haven of Port Royal. It’s one of the biggest cities in the Caribbean, but despite its waterfront location and international airport, is much better known among business travelers than tourists. Kingston is the cultural center of the island with historic architecture and the Hope Gardens.